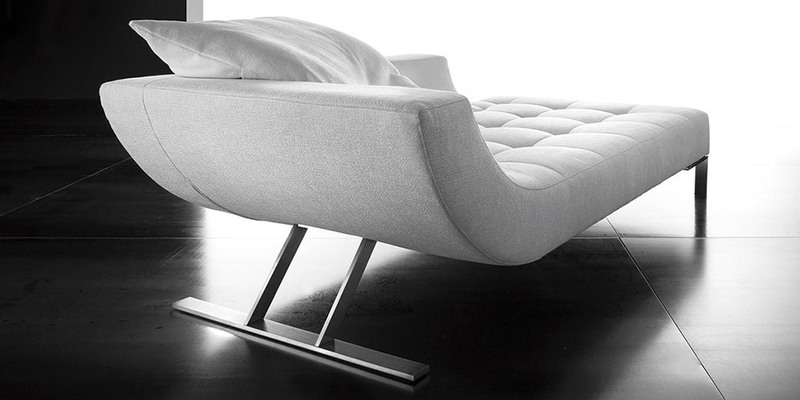 Beautiful Chaise Longue with futuristic design and full of elegance. 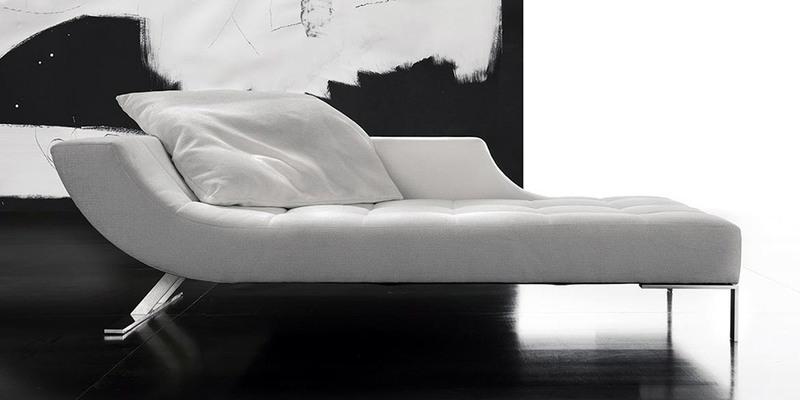 Produced entirely in high quality polyuretan foam: very comfortable and relaxing. Seat is made with small squares; one big pillow 29'' x 29'' is included in price. 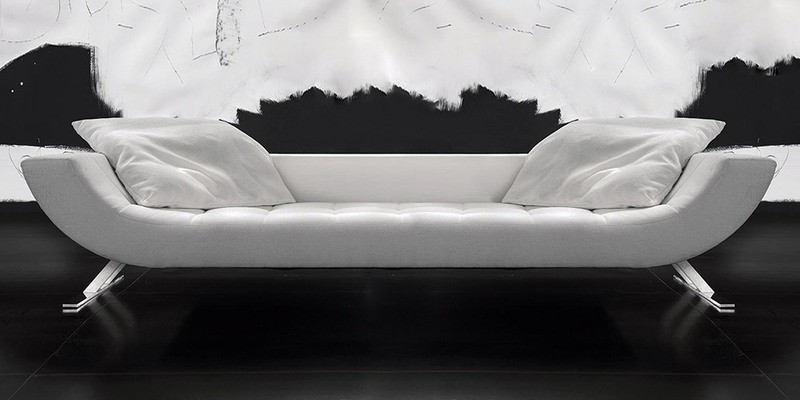 4 stylish metal feet complete the rare beauty of this leather Chaise Longue. Available also in version sofa 4, 3, 2 seather and armchair.